Finally got around to posting some Hong Kong photos--is there any surprise I brought florals to wear over there? 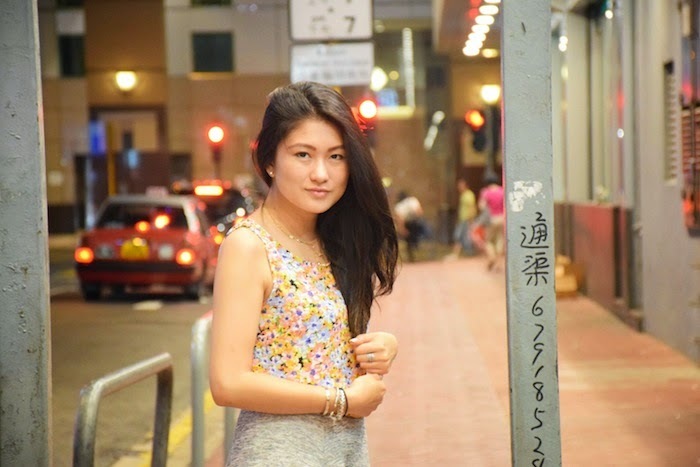 Paired it simply with one of my favorite skater skirts as of recent, and I was good to go explore Hong Kong! The weather was super humid, so the thin material of the AMI Clubwear dress, which I wore as a top, really let me bear the hot, hot weather. The florals looks so pretty with gray! Can't wait to see more from HK!